Have you ever received a traffic ticket? NDTitanlady got a traffic ticket at one of those video camera intersections. 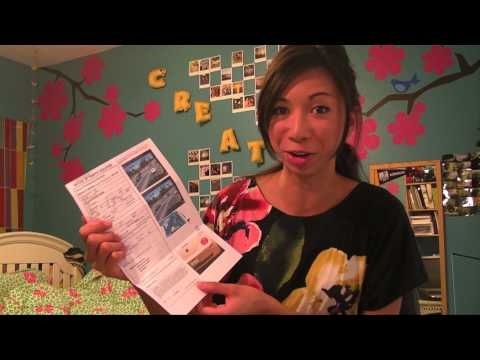 She shares her experience doing the “California Roll” and getting a $500+ ticket. With technology these days, not only do you get a pictures of you “committing the crime” in the mail, but you also get a video of yourself doing the “illegal action.” You can relive the experience in the comfort of your own home. With the ticket, NDTitanlady decided to take online traffic school. Some of the questions in online traffic school are ridiculous. NDTitanlady reenacts some of these questions. If you’ve ever had these experiences, you’ll get a kick out of the video. May the Traffic Gods be with you this Labor Day weekend. This entry was posted in comedy on September 5, 2010 by Kevin Hsieh - channel APA.